plant_mar has no other items for sale. 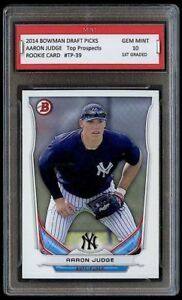 2014 Bowman Inception AARON JUDGE AUTO SGC 100 PRISTINE=BGS 10 BLACK LABEL1/1!!! Thank you. Pleasure doing business. fast service great card thank you for the extra BONUS! Beautiful card. Highly recommend this seller to other collectors!